The all new Milltek AUDI TTS MKIII 2.0 TFSI Exhaust System, Viezu Technologies we are proud to announce the availability of the new Milltek exhaust system for the Audi TT MK3. The Audi MK3 TTS is a car designed with the driver in mind, and already provides a great level of power and performance. Combine this with the Milltek exhaust system and also a Viezu Audi TT remap, and the car really opens up! Full details of how a Viezu tune can change the performance can be found herehttps://www.viezu.com/tuning/cars/audi/tt/tt-20-16v-tfsi-#tuning. 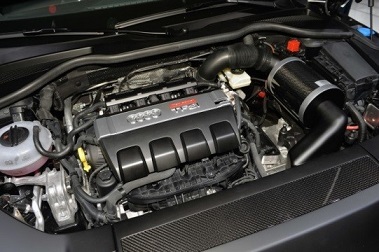 The car can then be made sportier with the addition of a large bore downpipe and hi-flow sports cats (which require the Milltek cat back system). These are 200 cell hi flow sports cats which are EC approved and will add up to 15 BHP on their own without the addition of a Viezu remap. The other exhaust option from Milltek is the non-resonated exhaust system for the Audi TT, which comes with a choice of either Cerakote black tips or polished chrome. This system is designed to provide a throatier more sporty quality. Milltek also offer a resonated cat-back exhaust for the Audi TT, which provides a quieter alternative to the non-resonated system and also comes with a choice of either Cerakote black or polished chrome tips. All Milltek exhausts are made from T304 Stainless steel and designed to be Anti-Corrosive, preventing rust and damage, and are non-magnetic, preventing carbon build up in the pipes, providing a more free flowing exhaust. Full details of what improvements Viezu’s Audi tuning software can offer can be found here https://www.viezu.com/tuning/cars/audi. You can also check out our latest videos here httpss://www.youtube.com/user/ViezuRemap and keep up to date with our latest Audi tuning here httpss://www.facebook.com/Viezu-Technologies-International-HQ-122618367749940/. Contact us here https://www.viezu.com/viezu-tune-enquiry with all your exhaust and tuning questions.